Another warning on the dangers of shipping notoriously unstable bauxite has been issued by the International Maritime Organization (IMO). Bauxite is one of the world’s major sources of aluminium with around 100m tonnes transported annually by sea. In 2015, a bulk carrier sank while transporting bauxite, with the loss of 18 seafarers. 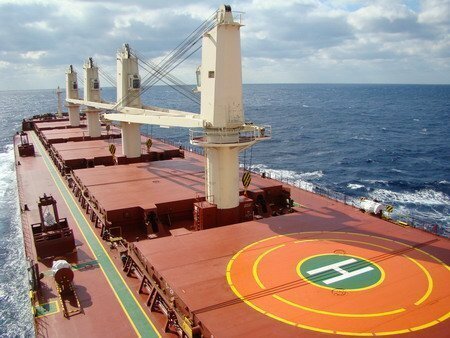 Research presented last week to an IMO sub-committee found that certain forms of bauxite with a large proportion of smaller particles could be subject to a newly-identified phenomenon of dynamic separation when there is excess moisture in the cargo. In such conditions, a liquid slurry – made up of water and fine solids – can form above the solid material, according to the research. The resulting free surface effect of liquid sloshing about could significantly affect the vessel’s stability, leading to the risk of the ship capsizing. The IMO has requested that extreme care and appropriate action be taken, taking into account the provisions of relevant IMO instruments, when handling and carrying bauxite in bulk.